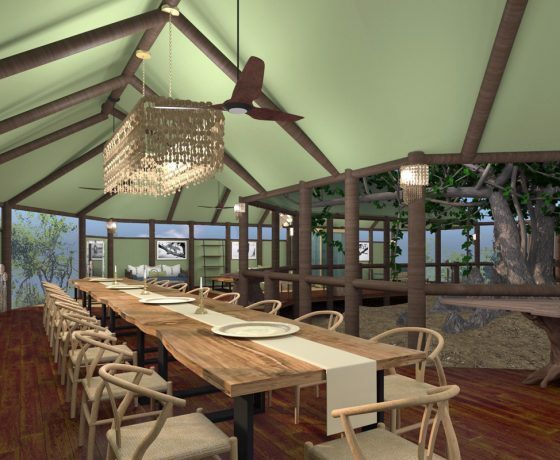 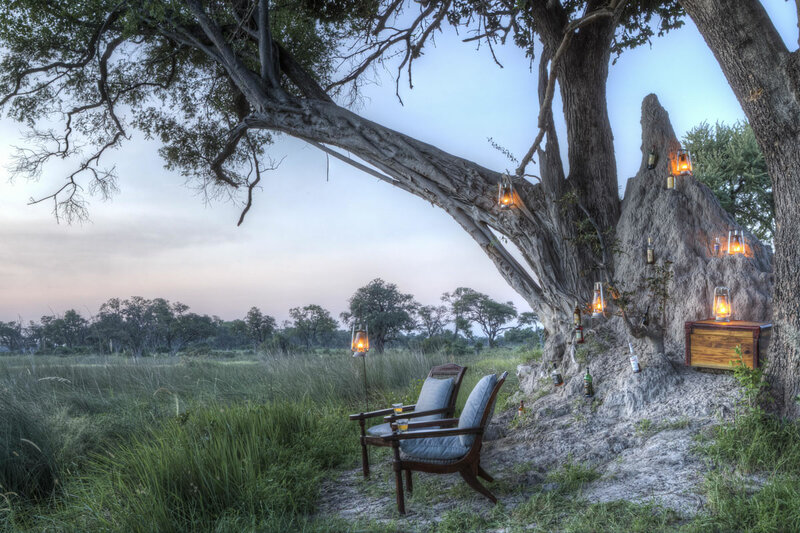 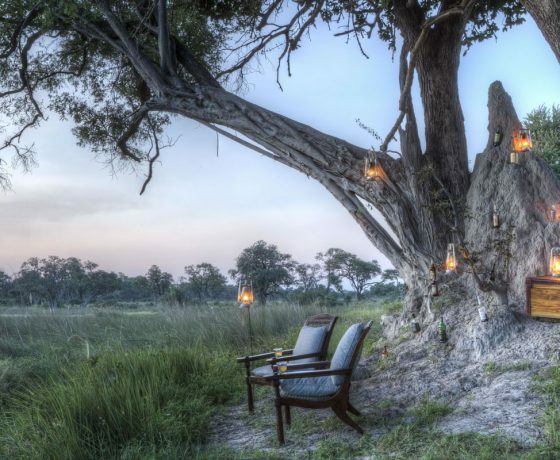 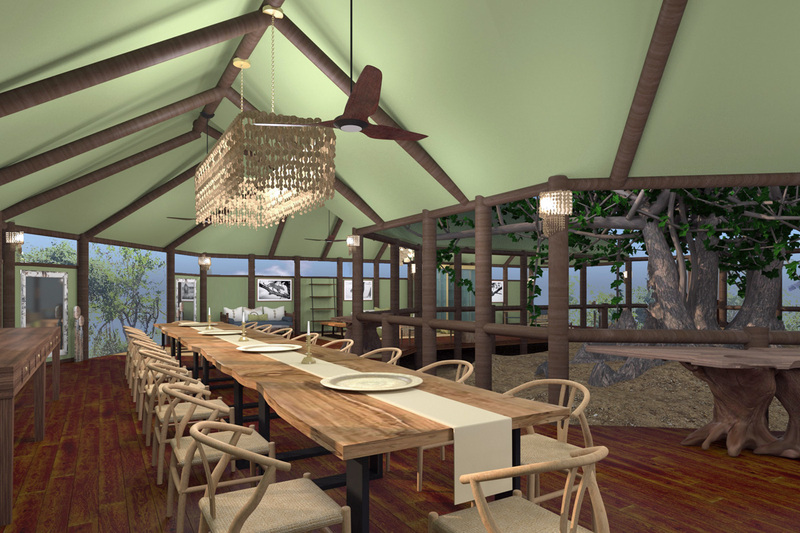 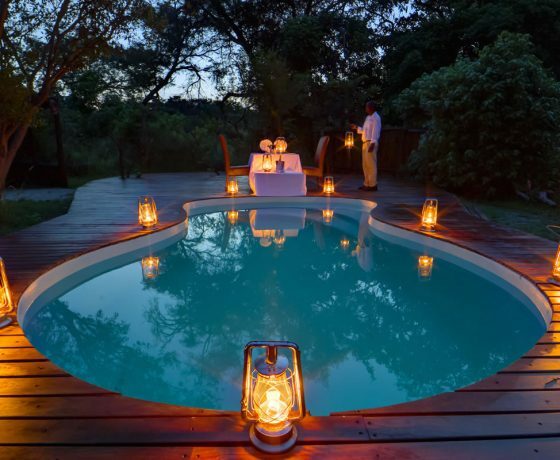 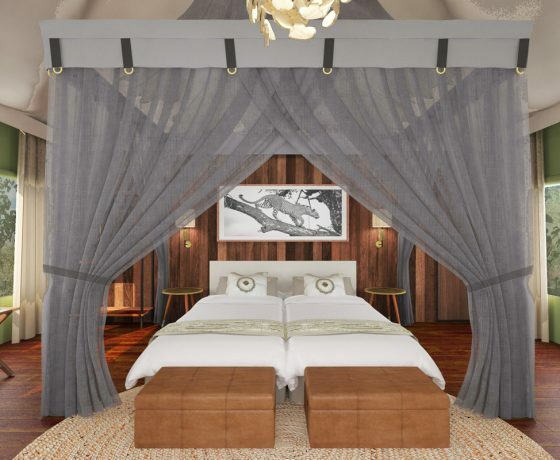 Kanana Camp has a gorgeous setting in a patch of riverine forest beside the Xudum River, in a private concession in the south west region of the Okavango Delta in Botswana. 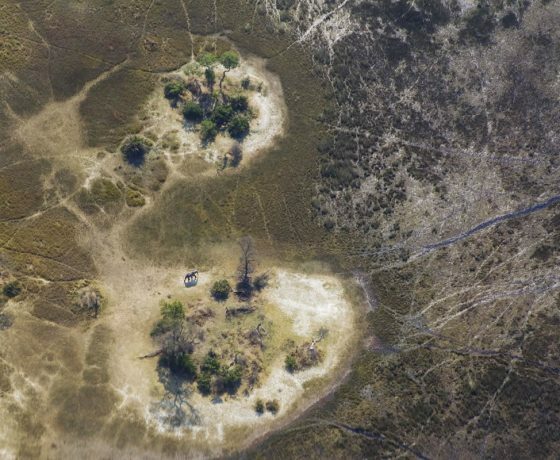 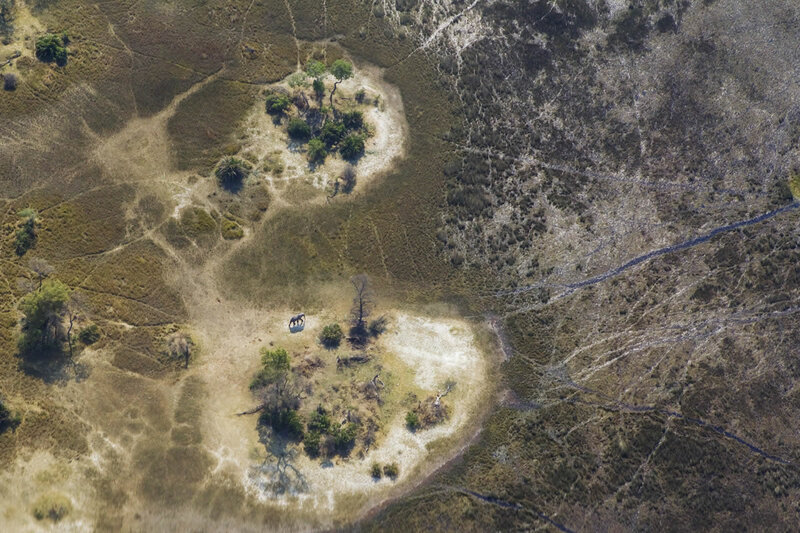 The camp overlooks a lagoon and is located in an area which is flooded seasonally. 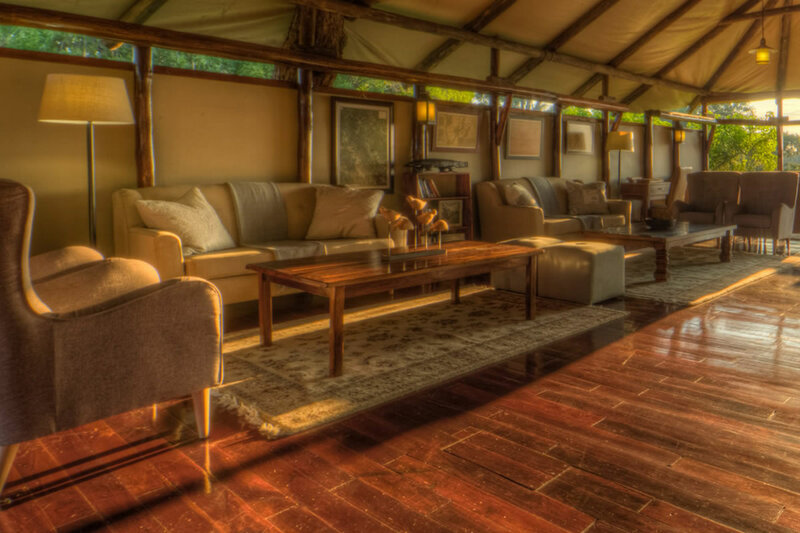 Kanana Camp has eight comfortable safari tents, including one that has two bedrooms and is ideal for a family. 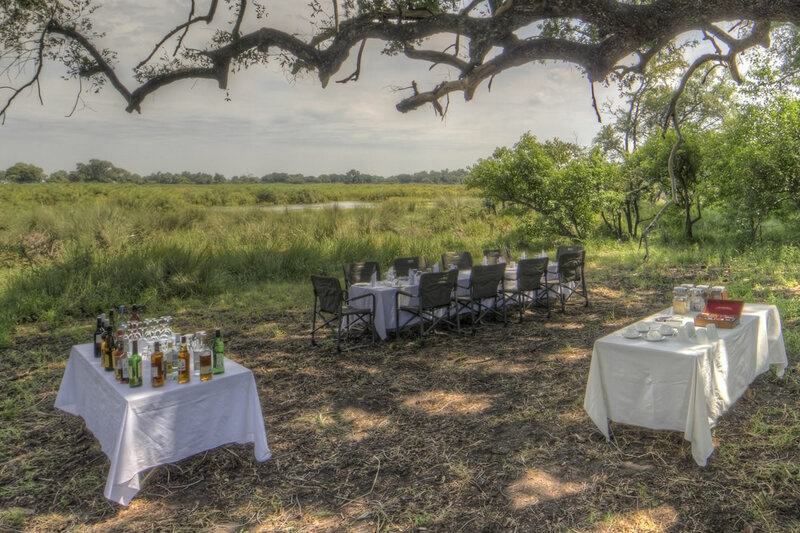 The huge tents are raised up on stilts allowing views of the beautiful surrounding floodplain. 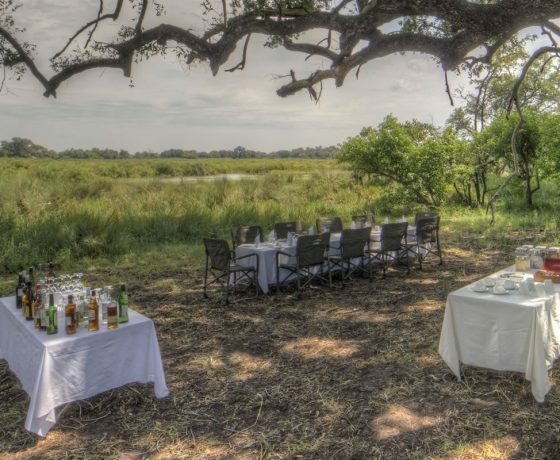 All of the tents have an en-suite bathroom with a shower and flush loo, and a verandah with great views. 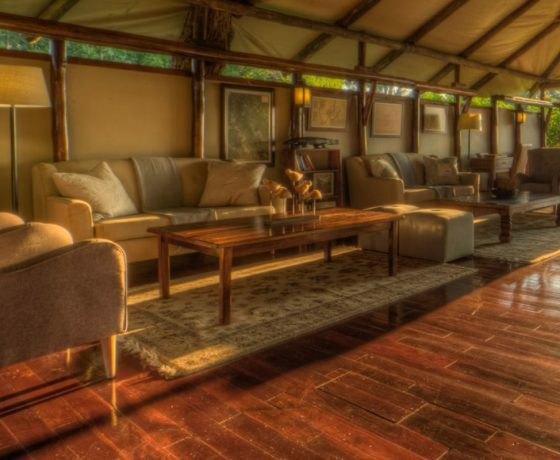 The camp has a large central mess and lounge, as well as a pool, a camp fire, and a separate viewing deck. 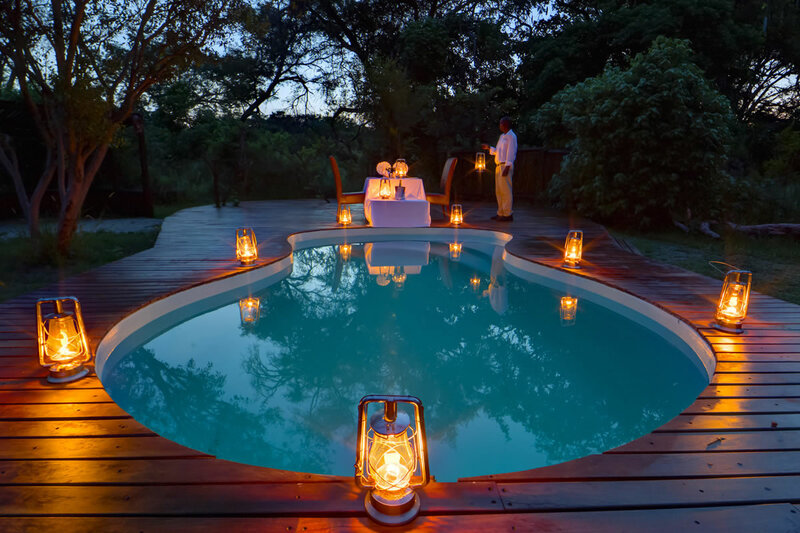 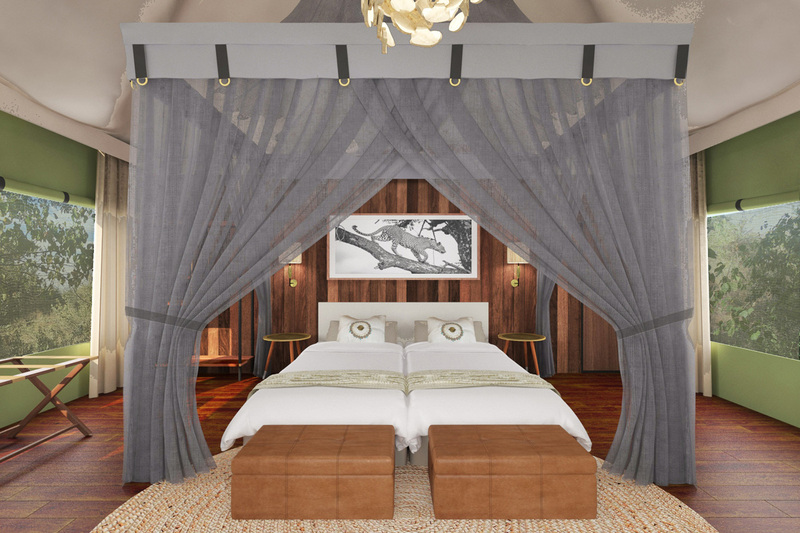 Adventurous guests have the option of spending a night under the stars on the sleep out deck, which should ideally be requested in advance. 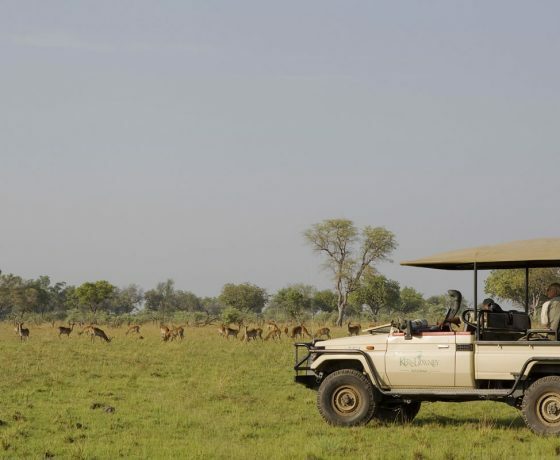 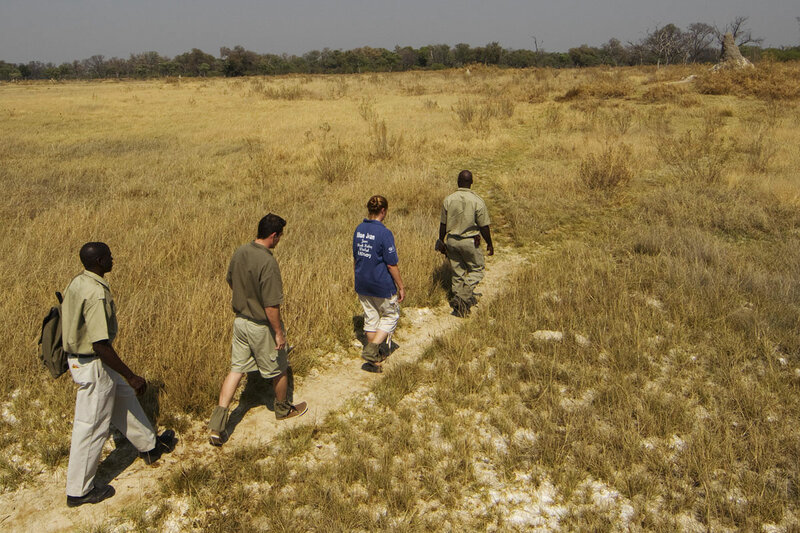 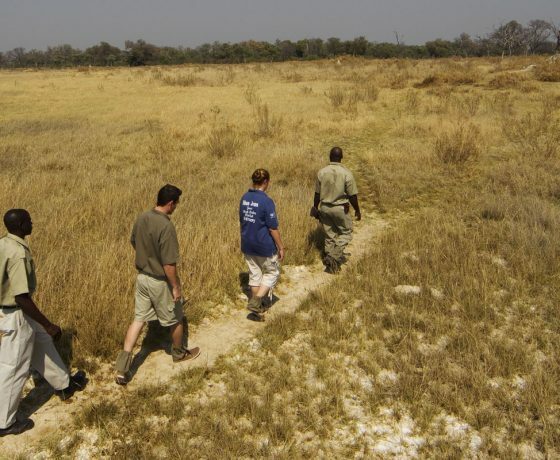 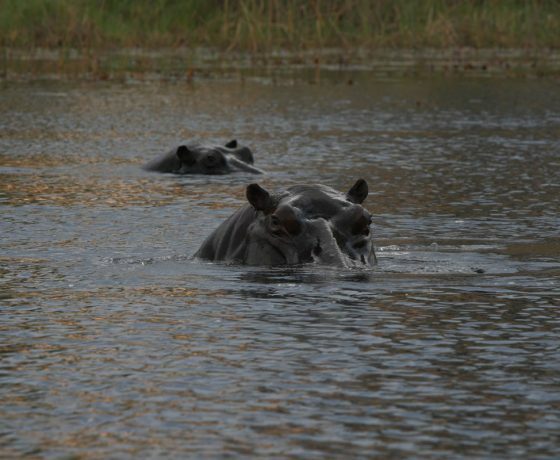 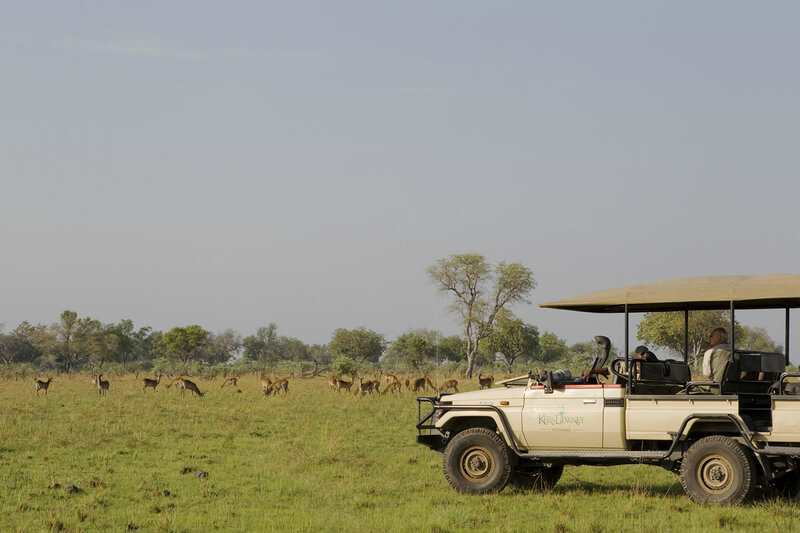 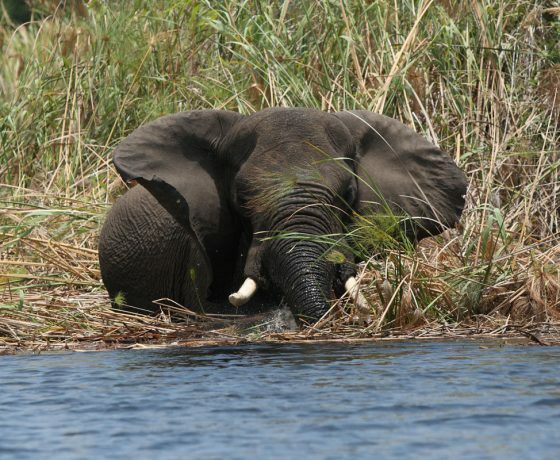 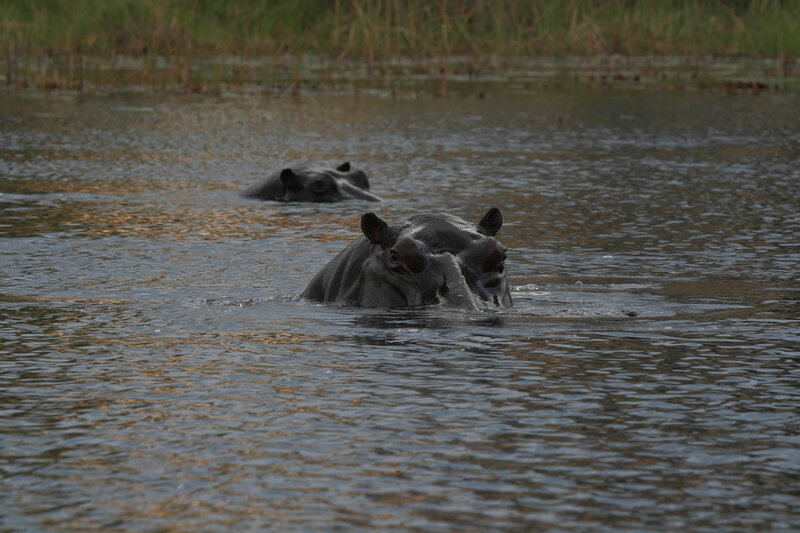 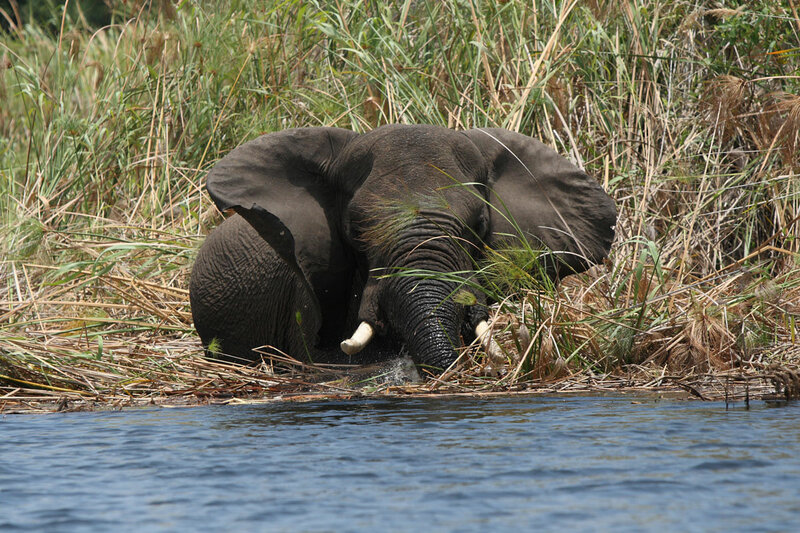 Guests at Kanana may see lion, leopard, elephant, buffalo, lechwe, kudu, hippo, and sitatunga. 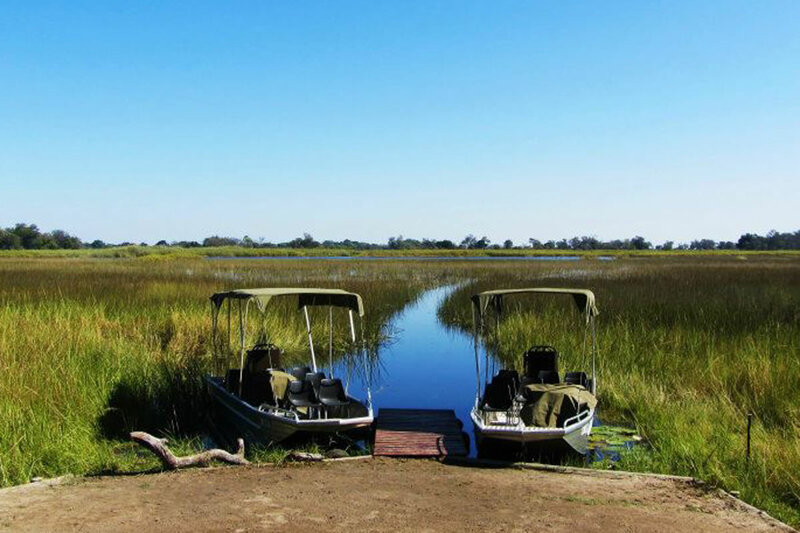 Kanana is renowned for its spectacular bird-watching, with exclusive access to a huge heronry, as well as regular sightings of Pel’s fishing owl. 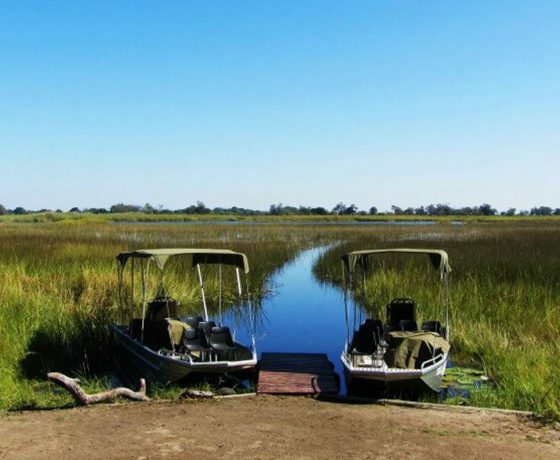 As well as day and night drives, Kanana Camp offers experience bush walks and mokoro (dug-out canoe) trips, boat cruises and seasonal fishing.